2018 has been a whirlwind both for me personally and for the world at large — and I have to admit I’ve been absolutely awful at keeping up with this blog (a trend, it seems). But a LOT of people have been writing me asking for a breakdown of the rumored disputes ravaging headlines as of late. While I am extremely flattered by the assumption that I have any inside scoop, I must admit, I do not. As these are just a sampling, it’s understandable that the general consensus is complicated. Is Meghan wreaking havoc? Is Will cold toward the Sussexes? Has the Queen thrown down the gauntlet? First, let’s take a step back. Does the headline blow the actual contents of the story out of proportion? What’s the publication’s traditional stance? When reading a news source, it’s pretty typical to notice whether they’re more liberal or conservative, despite their attempts at objectivity. It’s important to consider the network it belongs to, as well as who its owner might be connected to, i.e., Jeff Bezos owning The Washington Post & any reports on Amazon might be worth a little additional digging. And, though I’m not very well-versed in British politics, I do know that there are royalists and republicans and they’re catering to their readership. Unless you’re the Daily Mail, in which you just throw every thing out there and see what sticks… even if it’s garbage (which sadly sticks pretty well). what’s happening in the news cycle? Is it late Summer when the royals are out of the public eye? Then the press is probably dredging up random, questionable pieces to push like “The Duke and Duchess of Cambridge Reportedly Haven’t Told Prince George That He Will Be King” wherein there could be a grain of truth, but who’s to say. However, a great example of shifting the narrative comes today with Meghan’s appearance at the British Fashion Awards happening right before a big Brexit vote, or even Kate’s wearing trousers last week as a possible show of solidarity with Meghan (to be taken with an extra big grain of salt). Timing is everything. Who’s the reporter (or the source)? 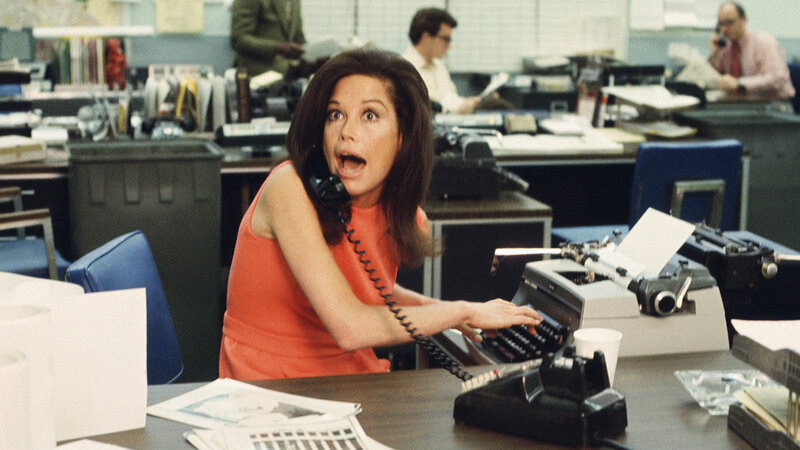 There are reputable royal reporters who have been on the beat for decades. They have strong relationships with palace insiders as well as the royals themselves. Katie Nicholl of Vanity Fair is known to be a solid source, as well as Dickie Arbiter, former Secretary to Queen Elizabeth, and his daughter, royal correspondent Victoria Arbiter. These are just a few examples, though there are loads more. I recently read a report that cited a “close friend of the Cambridge’s” as their source, and this set off alarms. William & Kate are pros at keeping the press at bay, so I suspect it wasn’t a close friend of the Camrbridge’s, but maybe a friend of a friend of a friend. However, I wouldn’t balk at a source being a “close friend of the Sussexes'”, as they seem far more open and less experienced with the whole gossip protocol. But most importantly, it should be noted that bloggers, just as myself, really are just working with all the information we’ve pieced together, a bit of a detective work and a lot of red string being pinned across stories as such — this is is not to say our research isn’t true nor reputable, just that I sit in an office in Hamburg and sadly do not have insider scoop to the name of Meghan & Harry’s upcoming baby! But I will happily speculate and write a dissertation on what my predictions are! Which leaves me at a perfect stopping point for the this piece, but I do hope to write my own synopsis of what I think is going down with the ‘Fab Four’ in the next few days… as a cliffhanger: I think there’s a little bit of truth, and a whole lot of fit throwing. When your brain is full of really obnoxiously random royal facts such as mine, it takes all I have not to scream when coming across headlines as those that were floating around yesterday after the Queen’s Young Leaders event. Wow. How do you write a post after being away for so long? Well, I haven’t been away per se, just busy. But that doesn’t mean I haven’t been following all the royal happenings on a play-by-play basis! In fact, probably even more so. You can follow along less formal, more impromptu posts over at royallyspeaking on Instagram. But in the meantime, I’m while not able to post everyday happenings of royals here — which, of course, is unnecessary given the professional coverage available at your fingertips — I hope to venture back into more insightful, less covered royal topics, such as protocol, history, drama, and the like. I hope you’ll continue to join me, and thanks for being so patient in the meantime. It’s been far too long since a proper royal update, and for that I am truly sorry. Sadly, this is merely a side hobby, and real life obligations take precedence. Le sigh. But I’m here now, so let’s get on with it, shall we? Sweden’s Prince Carl Philip & Princess Sofia welcomed a sweet baby boy to their family of three! I have to admit, I love the low-key approach they take to presenting him to the world. The Swedish royals are just so… relatable? (As much as one can relate to a royal family. 😉 ) The name of the new baby has yet to be revealed. In other exciting Swedish family news… Princess Madeleine revealed on her Facebook that she & Chris are expecting baby no. 3! I love how she communicates directly with everyone on Facebook. I wonder if Kate will someday do the same… (highly doubtful, but a gal can dream). In the middle of June, the royals announced a seemingly spontaneous tour of Poland and Germany. My sweet coworkers, knowing my love of royals, began emailing me and stopping by my office to alert me of the news. And after a few strokes of the keyboard, I was able to verify. It was true. The British were, in fact, coming! But I didn’t let myself get my hopes up too much. You see, I’ve seen the Danish royals when the visited in May of 2015, and I didn’t manage to snag so much as a wee wave. So getting to even talk to William or Kate? “Yeah right,” I thought. Armed with my father’s wisdom and the reality that Kate fans can be a bit… pushy, I wasn’t hoping for more than a photo up close. I’m lucky in that I live near the Elbphilharmonie, one of their stops on the tour, as well as the fact that I get that generous, European amount of vacation days, and as an American who still feels guilty for taking time off, well I had more than enough left over to use a half day. So I hoped on my bike around 12 to head that way. They were due to arrive at 2:40 p.m. As I rode down that way I couldn’t help but be a bit disgruntled with myself that I hadn’t managed much earlier. I was expecting a crowd of thousands already set up. I was pleasantly surprised when I came upon a mere hundred, leaving me plenty of time to post up. First, though, I’d have to strategize where to stand. So I found a news anchor who was preparing herself and asked where she was planning to get the shot. (As a journalism major, I knew she had the best insider scoop.) She was super kind and explained that the majority of the crowd was near the entrance as Kate & Will were due around 2:00p.m. to enter the concert hall… BUT(! ), if I was willing to wait, and wanted a more “personal” experience, she recommended I stand at the hardly crowded exit, as they would take time after the concert for a walkabout. So I found a spot that, admittedly, was almost too good to be true. And I waited. My good friend met me on her lunch break and was patient enough with me to put up with my competitiveness with the crowd for a good position. The crowd made for some grand people watching as we waited. There was the Kate Middleton lookalike — there were many actually, and I kind of loved the amount of reporters even trying to replicate Kate’s style. There was a royal pup! Kate very graciously accepted the books as the woman gave her the books for George’s 4th birthday. It was very sweet actually. And Kate was so kind and patient. It is worth noting that Kate does seem rather shy. I don’t know how she managed the crowd. I was overwhelmed and no one was hollering my name or shoving things my direction. She was so graceful under pressure. My journalism instincts must have kicked into high-gear next, as I somehow managed to catch this exchange between Kate and the girl next to me (whom I did not film for privacy reasons). The girl told Kate how much she appreciated the work they’ve done for mental health with Heads Together (which they have done wonderfully, and something I’ve been meaning to write about on here for a while). Kate took the time to be so incredibly kind and thoughtful in her response. It was truly amazing how she managed to stay focused with many other people in the crowd. I was so starstruck after saying hello and shaking Kate’s hand (not captured on film, of course), that I almost nearly forgot William was coming as well. William was asking people if they spoke English, and somehow I managed to think quick and use this to my advantage. I piped up, “Greetings from America, Will!” To which he immediately came our way and shook my hand, asking, “Whereabouts in America are you from?” “Kansas!” I replied, the shock clear in my voice. “Kansas! What a beautiful spot,” he replied. My mind was blown. I had just spoken with Prince William. THE Prince William whose name adorned my sister and my’s custom “I LOVE PRINCE WILLS” pencils throughout elementary schoool… THE Prince William whose photo I had affixed to my wall for most of my adolescence. THE Prince William whose wedding my sister and I woke up at 4 a.m. to watch. THE Prince William who is third inline to the throne. THE Prince William who will one day be the King of England. It was clear. I had royally peaked. With the new Prince Charles biography, Prince Charles: The Passions and Paradoxes of an Improbable Life, we’re sure to get some new information about the British Royals. Vogue gives us glimpse inside with 13 facts revealed by author Sally Bedell Smith. Besides Prince Charles, the Queen and Prince Philip have three other children—Princess Royal Anne, Prince Andrew, and Prince Edward. 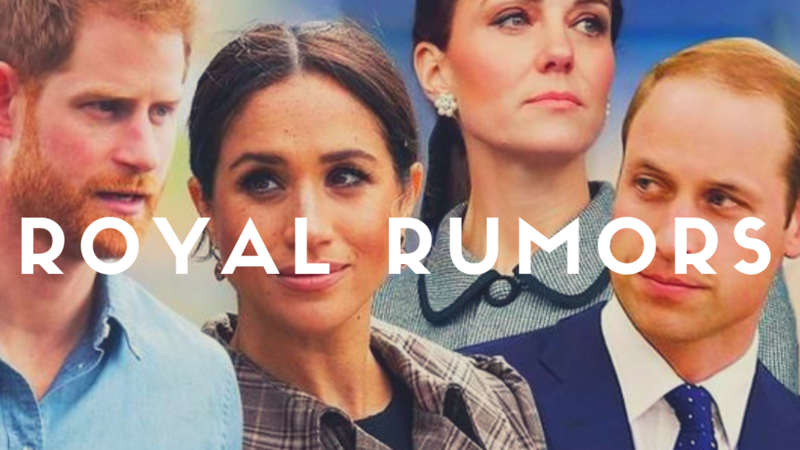 They’re a nuclear family, but since Prince William and Kate Middleton have added to the next generation in line for the throne, the royal family has become somewhat two-tiered. An example of this came during the Queen’s Diamond Jubilee during a flotilla on the Thames. Prince William, Kate Middleton, and Prince Harry joined the Queen, Prince Philip, Prince Charles, and Camilla Parker Bowles on their boat. Princess Anne, Princes Andrew and Edward, and their families rode down the river separately. Prince Harry has done a fair amount of service, including being deployed to Afghanistan for a 4-month stretch. He was an Apache helicopter pilot and served as a copilot gunner in a missile attack on the Taliban. As you all know, I love a good theory, especially when there are legitimate clues involved. So last night, while perusing the old Instagram, I decided to check Meghan’s. I was surprised to see her latest post about shutting down her blog, The Tig. What would normally be of little interest to me, this news actually piqued my interest. Because for me, this points to things getting serious for her and Harry. I know that many people expect her exit on Suits to be the ultimate sign — and which I expect to inevitably happen within the next year — but I think this is a sign as well. While I understand that running a blog is actually a lot of work, cough cough this blog is a prime example, I don’t think she was doing it all herself. And I have a sneaking suspicion she has lot of down time while holed up at Harry’s Kensington Palace apartment. So why shut it down? Or why not just put it on a hiatus? Something bigger is at play here, and I for one really really hope we have news of an engagement soon because I am beyond intrigued to see how their relationship can bring some life to the British Royal Family. And because we all want Harry to be happy. Though, of course, this will break my Harry + Chelsy-loving heart… le sigh. What do you think? Am I reaching or is there something to be said about the shutting down of “The Tig”?